We loved the way this article published in our Reading Corner newsletter explained the adult learner through how we train volunteers to teach an adult to read, please read on to flashback to November 1988. About Adult Learners by Paula Holder November 1988 The job is tough. The rewards are vast. These phrases are repeated at the end of a video I previewed called, The Dream Makers,” which presents interview with adult nonreaders in literacy programs as well as their instructors. I watched this video soon after finishing a tutor workshop planning meeting with Jeanne Silliman, Literacy Center Coordinator (November 1988). Frankly, I felt tired and not a little overwhelmed by the amount of work that must go into every tutor training workshop. I needed to see this video to remind me why I was willing to volunteer hours of skilled, unpaid labor every year for a problem that grows larger every day. As a tutor said in the video, “Someone’s life depends on his learning how to read.” In September (1988), the Regional Reading Aid (The Literacy Center was formerly known as) training team worked 12 hours to prepare 31 new tutors to teach an adult how to read. In an evaluation meeting after the workshop, we sorted through the comments made by these new tutors to decide how to change the next workshop to better fit our tutor’s needs. Consequently, we eliminated, moved, lengthened and shortened different presentations. However, even with these changes, we know we will still be packing in large amounts of information into a relatively short amount of time. It is nearly impossible for the trainer as well as the novice tutor to leave this intensive workshop without feeling dazed. At this time, (November 1988), we are looking at a training waiting list of 70 prospective tutors. We are thinking seriously of having a “double” workshop next time where we offer presentations to two groups of people. 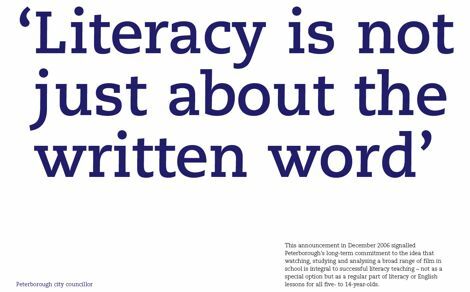 The literacy campaign, which began in the early 80’s and which has attracted all kinds of media and public attention, has been almost too successful. In the past, Regional Reading Aid presented two training workshops a year with no in-service workshops to supplement training. This year three workshops are planned and three in-service workshops will be offered. Even with the increased workshop schedule, the number of students waiting for a trained tutor continues to outnumber the tutors available. Presently, our training needs rest on the shoulders of just twelve people who can give varying amounts of time during the twelve hours needed for our training workshop. I am grateful for any time they can offer as I am asking them once every third month to give up two weekday evenings and all day Saturday to this workshop after a hectic workweek and despite personal and family needs (and) this time (I’m also asking for), plus one meeting prior to the workshop to practice and one meeting after the workshop to evaluate. I also call on them for in-service workshops and will, in the future, need to add tutor workshops to shorten our waiting list for both tutors and students. My main goal for 1989 Director of Training, therefore, is to expand the number of trainers for our workshops. That means I will be asking experienced tutors to learn yet another skill and another way to help people who cannot read. The job is tough. The rewards are vast.